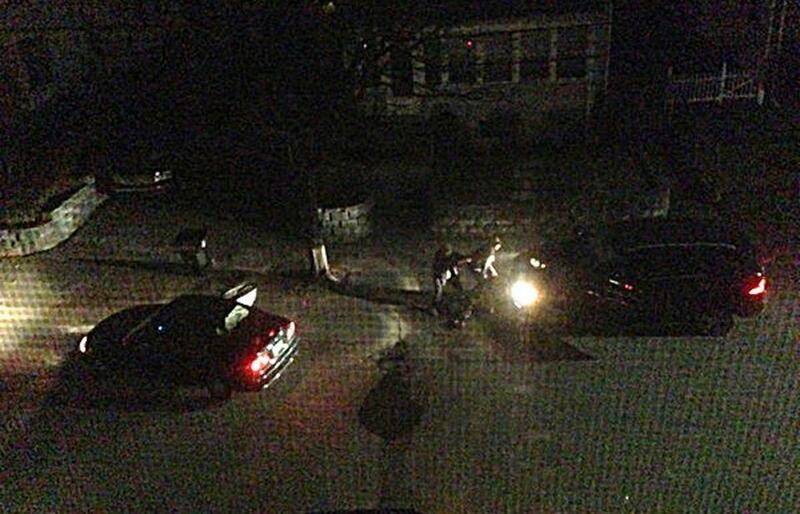 A Watertown resident captured the shootout between the Tsarnaev brothers and law enforcement. Determined to save the lives of his fellow Watertown police officers, off-duty Sergeant Jeffrey J. Pugliese rushed to Laurel Street, where police were exchanging gunfire with Tamerlan and Dzhokhar Tsarnaev four days after the Boston Marathon bombing. But he soon found himself fighting to save his own life. By jumping fences and going through back yards, Pugliese was able to flank Tamerlan Tsarnaev, who was focused on battling several other officers ahead of him on Laurel Street. Pugliese testified in federal court Monday. Pugliese fired several times before Tsarnaev noticed him. When he did, he began firing his 9mm pistol at Pugliese. “I returned fire,” said Pugliese, noting that he ran out of ammunition at one point during the battle and was forced to reload. Tamerlan Tsarnaev charged toward him, he said. “He ran up the driveway and continued to fire at me,’’ Pugliese testified Monday in US District Court, where Dzhokhar Tsarnaev, Tamerlan Tsarnaev’s younger brother, is on trial for his role in the 2013 terror bombing, which killed three people and wounded more than 260 others. Tsarnaev and Pugliese ended up only six feet apart. But as he approached the officer, Tamerlan Tsarnaev realized his gun wasn’t going to fire because it was empty or had jammed, Pugliese testified. The two men looked at each other, and Tsarnaev “threw his gun at me,” hitting Pugliese in the thigh, Pugliese said. 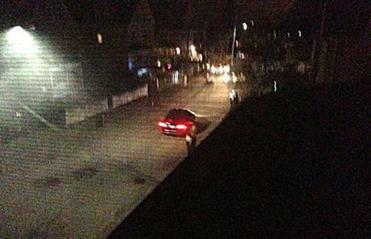 Tsarnaev turned and started running away – with Pugliese now in pursuit. Pugliese tackled him, and got help from two colleagues, Sergeant John MacLellan and Officer Joseph Reynolds. Tamerlan Tsarnaev continued to resist. Suddenly, Pugliese testified, his colleagues were yelling at him to get away from Tsarnaev. At that moment, Pugliese tried to save the life of the man who had just tried to kill him and other officers. But it wasn’t far enough to save Tamerlan from his own brother, Dzhokhar, who had jumped back into a stolen Mercedes Benz, executed a three-point turn, and drove at 40 miles per hour to where police and his brother were struggling on the street. “I kind of rolled back onto my back, felt the breeze of the vehicle on my face,’’ Pugliese said. In court Monday, Pugliese stood a few feet away from Dzhokhar Tsarnaev and demonstrated how he tried to pull Tamerlan Tsarnaev out of the path of the speeding SUV. Tsarnaev carefully watched Pugliese’s re-enactment, but showed no visible emotion. Tsarnaev drove over his own brother, whose body got trapped in one set of wheels and was dragged down the street before it was dislodged. Pugliese said he then put Tamerlan Tsarnaev into handcuffs; it was later learned that he had been shot seven times during the incident. Tsarnaev was rushed to a Boston hospital, where he was pronounced dead. An autopsy later found that he died both from gunshot wounds and from being dragged by the car. Dzhokhar Tsarnaev escaped a police dragnet until 7 p.m. the same day when he was discovered hiding inside a shrink-wrapped boat in the backyard of a Watertown home. Pugliese and two other Watertown police officers testified about the ferocious battle in a quiet Watertown neighborhood that lasted eight or nine minutes and ended with Tamerlan Tsarnaev fatally wounded and Transit Police Officer Richard Donohue fighting for his life when he was struck by police crossfire. Pugliese testified he had ended his shift for the day and was heading home when he heard reports about the shooting on Laurel Avenue. Instead of heading home, he headed towards the gunfire. “I wanted to save their lives,’’ he testified. Patricia Wen can be reached at wen@globe.com.Kevin Cullen is a Globe columnist. He can be reached at cullen@globe.com. Follow him on Twitter @GlobeCullen.John R. Ellement can be reached at ellement@globe.com. Follow him on Twitter @JREbosglobe.Milton J. Valencia can be reached at mvalencia@globe.com. Follow him on Twitter @miltonvalencia.